It goes without saying that it’s important to visit a dentist twice a year for a professional cleaning, x-rays, and exam. Preventative care is essential to keeping a smile healthy for a lifetime. Most people understand the importance of brushing and flossing at least twice a day. But are you aware that there are many other simple ways to improve your oral health? Some healthy habits require minimal effort but yield immeasurable results. Use the correct type of toothbrush. Believe it or not, some toothbrushes are better for your teeth than others. Most stores that sell toothbrushes display dozens of brands and styles. It’s difficult to know which toothbrush is best. 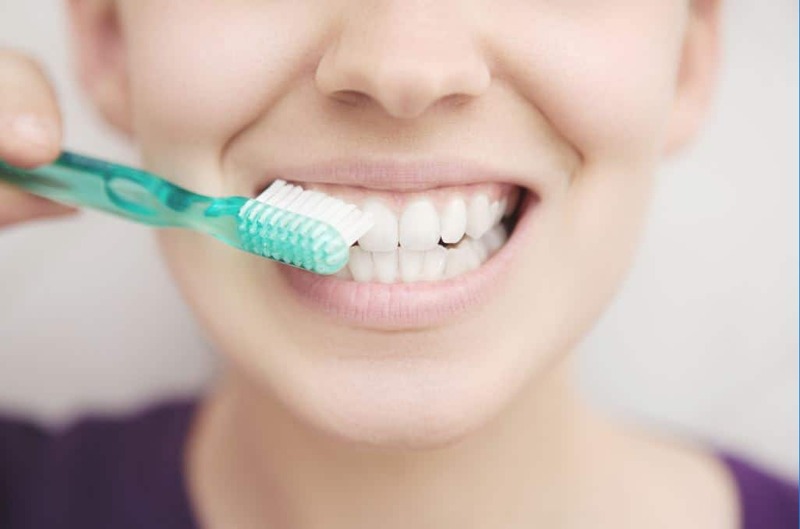 Most people benefit from a soft-bristled toothbrush. While it might seem that a hard-bristle brush gets your teeth cleaner and feeling smoother, hard bristles eventually damage your teeth and gums. Brush with the correct technique. There is a right way, and there is a wrong way to brush your teeth. It’s essential to reach all surfaces of your teeth, but excessive force or “scrubbing” is not beneficial. Make sure to take your time cleaning and use a circular motion with the brush. Clean all of your teeth from top to bottom. For more information, please ask for a demonstration of the correct brushing technique next time you see your dentist. Avoid sugary and starchy food that sticks to your teeth. As much as children (and adults!) love fruit snacks, sticky candy, and soft bread, remnants of these items stick to the surface of your teeth. If this occurs often, decay and gum disease might develop. If you choose to eat sugary and starchy food, make sure to brush and floss soon after. Dental sealants are a thin and hardly noticeable protective coating placed on the surface of molars. They guard teeth from the development of decay. Most children without prior decay are excellent candidates for dental sealants. Adults with healthy molars may also benefit from sealants. Anyone that plays contact sports benefits from wearing a custom-made mouthguard during practice or competition. A mouthguard provides a layer of protection that safeguards your teeth, gums, tongue, lips, and the inside of your cheeks from damage if you are hit in the face or mouth. If something doesn’t seem right, visit your dentist. A chipped tooth, bleeding gums, a sore in the mouth that won’t go away, or any mouth pain should be evaluated by a dentist as soon as possible. As with most ailments, immediate attention usually results in faster and less expensive treatment. Also, it’s optimal to catch a problem before it has a chance to develop into something more serious. Besides the pointers listed above, there are many other ways to improve, maintain, and advance your oral health. Next time you visit Washington Court House Dental, please talk with us about developing excellent oral health habits. We care for your well-being and look forward to giving you guidance and support.